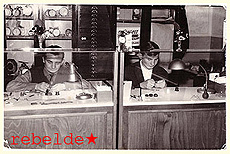 Rebelde is the World's smallest watch brand, coming to life in 2013 as a project of Sydney-based watchmaker Nicholas Hacko. The rebelde project was not conceived as a brand to showcase the watchmaker's genius or his ability to produce watches, or even to fulfil a need for a mechanical timepiece. It was born simply out of necessity for physical survival - the survival of a small, independent Australian watchmaker. Nicholas Hacko is a third generation Master watchmaker. Like many of his colleagues, he has spent his entire life doing what he was trained for: repairing high grade mechanical watches. We are always interested in buying quality watches and are prepared to pay competitive prices for high grade mechanical watches. 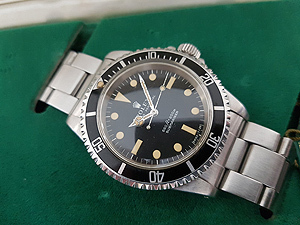 If you have a watch you wish to sell, please contact nick@clockmaker.com.au with a full description, overall condition, and your asking price. Queries are usually answered within a few hours. 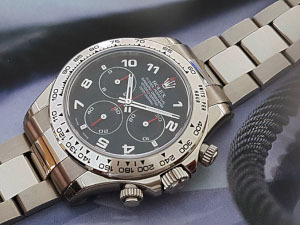 Check out our current stock of fine Swiss watches - we specialise in pre-loved brands like Rolex, IWC and Omega. In addition, we usually have Zenith and JLC watches in stock. Our stock changes quickly, and the best way to get notified of new arrivals is to subscribe to our premium mailing list - email us for details. Don't think you're ready for Premium yet? Sign up to our free newsletter to get a taste of our premium newsletter and to stay informed on our latest arrivals. 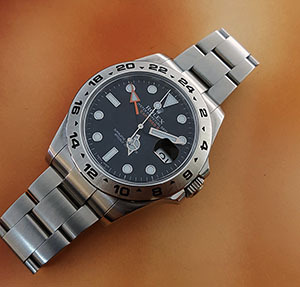 Considering buying a new or pre-owned Rolex watch? 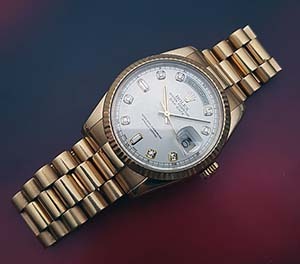 Nick's Ten Rolex Buying Tips will save you a lot of anxiety before and after the event! From now on, you should be the first one to know. 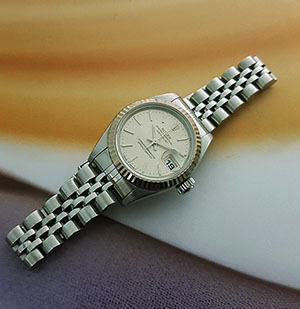 Whether you are looking for a TAG, Omega, Rolex or Patek, you will be notified instantly whenever new stock arrives. Serial number 54907691. Case diameter: 39mm. Stainless steel case and bracelet. 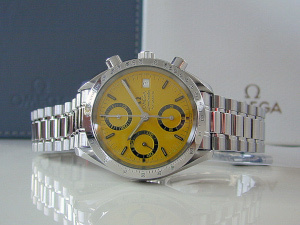 Yellow dial with luminescent hands and hour markers. Self-winding automatic movement with date and chronograph functions. Sapphire crystal glass. Serial number: 85777091. 42mm case size. Stainless steel case and bracelet. Black dial with black bezel. Luminous hands and hour markers. Helium escape valve. Date function at 3′oclock. Sapphire crystal glass. Automatic co-axial chronometer movement. Water proof up to 300m. 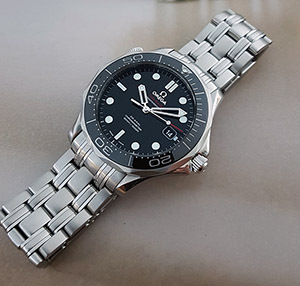 Watch comes with Omega box and papers. Serial Number: 78114842. 42mm case size. Stainless steel case and bracelet. Red dial with black outer ring. Three sub-dials with corresponding minute, hour and second functions. 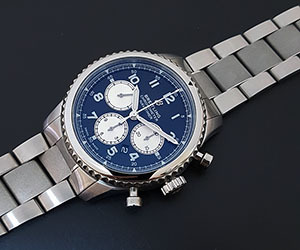 Chronograph and tachymetre functions. Case back inscription "Michael Schumacher The Legend Collection" in red. Sapphire crystal glass. Automatic movement. 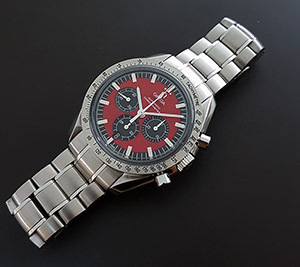 This Omega is part of a discontinued "The Legend Collection" line of Michael Schumacher Speedmasters and is highly desirable amongst Omega fans and racing enthusiasts. Overall Condition: 9.6/10; very good. Serial Number: 80124804. 41mm case size. 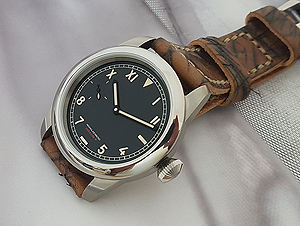 Stainless steel case on brown leather strap. Black dial with Roman numerals. Steel bi-directional rotating bezel for timing. Self-winding automatic watch, chronometer movement calibre 220. Overall Condition: 9/10; very good. Serial Number: 57261785. 36mm case size. Stainless steel case and bracelet. Black waffle dial with luminescent markers and skeleton hands. Sapphire crystal glass. Automatic movement. Serial Number: 525178. 42mm case size. Stainless steel case and bracelet. Black dial with three white sub-dials. Sapphire crystal glass. Automatic movement with date function. Superlative chronometer officially certified. Watch comes with Breitling box and papers. Serial Number: 5026642. 46mm case size. Black dial with unidirectional black bezel. Stainless steel case and bracelet. Sapphire crystal glass. Screwdown crown. Breitling B20 self-winding movement. Water resistant to 200m. 70 hours power reserve. Sold new in December 2018. Serial number: 3580584. Case diameter: 41mm. Stainless steel case fitted on IWC original black leather strap and IWC steel buckle. Silver hands on a black dial. Automatic movement with chronograph function. 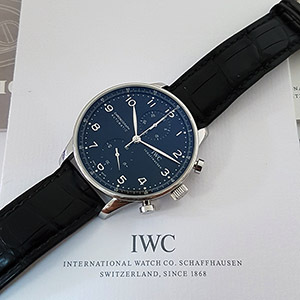 Watch comes with IWC papers. Overall condition: 9.8/10; very fine. Serial Number: 3143804. 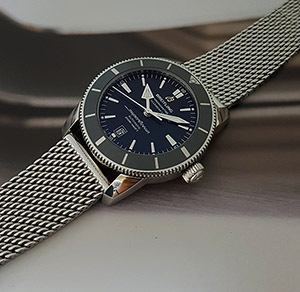 43mm stainless steel case and mesh bracelet. 18K rose gold bezel. Silver dial and three sub-dials with tachymeter outer ring and rose-gold toned hands. Sapphire crystal glass. 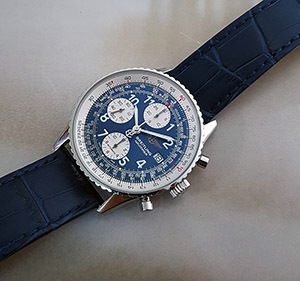 Self-winding Breitling 01 movement with chronograph function. Water resistant to 100m. Serial Number: 3236689. 43mm case size. Stainless steel case and bracelet. Black dial with bi-directional bezel. Features 30 minute and 12 hour counters as well as date window. Sapphire crystal glass. Screw-locked crown. Transparent case back. Breitling caliber 01 automatic movement. COSC-certified chronometer. Serial Number: T363395. 26mm case size. 18K white gold and stainless steel case and Jubilee bracelet. Silver dial with white gold hands. Date window at 3 o′clock. Sapphire crystal glass. Superlative chronometer officially certified. Rolex automatic 69174 movement. Watch comes with Rolex box and papers. Serial number: 5J870173. 42mm case size. 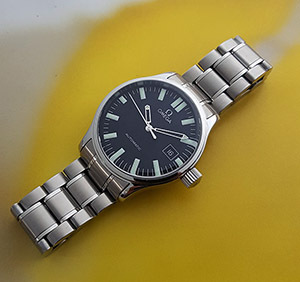 904L Stainless Steel case and Steel Oyster bracelet, with fixed bezel. Black dial. Folding Oysterlock safety clasp. Screw-down winding crown. Scratch-resistant sapphire crystal. Second time zone with independent rapid-setting of the hour hand. Instantaneous date. Stop-seconds for precise time setting. Power reserve 48 hours. 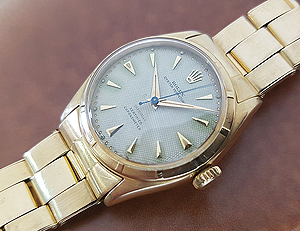 Automatic Rolex 3187 caliber movement. Water resistant to 100m. Watch comes with Rolex papers. 34mm case size. 14K gold case, hands and hour markers. 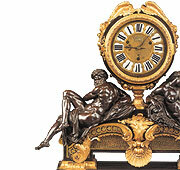 Original champagne dial. 14K gold fluted bezel. Automatic movement. Serial Number: Y151407. 26mm case size. 18K white gold and stainless steel combination case and Jubilee bracelet. White dial with fluted bezel. Sapphire crystal glass. Automatic movement with date function at 3 o′clock. Superlative Chronometer Officially Certified. Watch comes with Rolex box. Serial Number: Y381937. 36mm case size. 18K yellow gold case and Presidential bracelet. Diamond dial with 18K yellow gold fluted bezel. Date and day display. Sapphire crystal glass. Automatic movement. Serial Number: 693854. 40mm case size. 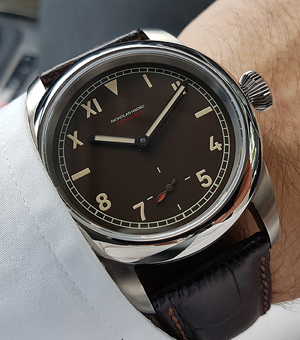 This 1961/5512 is fitted with 1960′s feet-first dial in immaculate condition. Automatic movement calibre 1530. 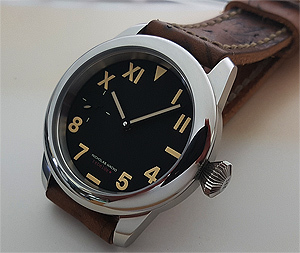 No restoration work has been done to the dial at any point of time so the tritium luminous material is beautifully aged. Another truly unique feature is the original butterfly rotor (butterfly rotors are commonly replaced with new style rotors). 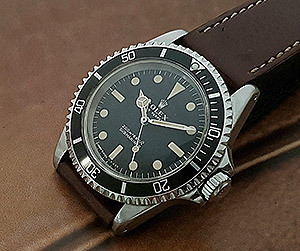 The case itself is with pointed crown guards - another lovely early Submariner feature. The watch has been gently polished and the only non-period component is a new bracelet (number 93150). Serial Number: Y189130. 35mm case size. Stainless steel case and bracelet. Black dial. Sapphire crystal glass. Automatic movement. Serial Number: 9Q612299. 36mm case size. 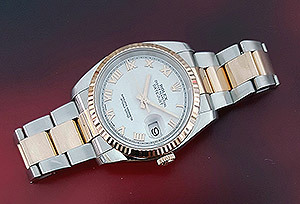 Stainless steel case with 18K everose gold and stainless steel. Fixed fluted 18K everose gold bezel. White dial with gold hands and Roman numeral hour markers. Date function. Sapphire crystal glass. Deployment clasp. Automatic movement. Water resistant to 100m. Overall Condition: 9.8/10: very fine. Serial Number: 2631601. 36mm case size. 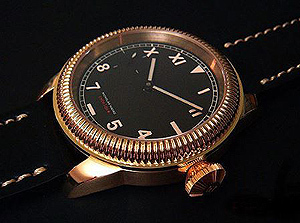 18K gold dial dial and case. 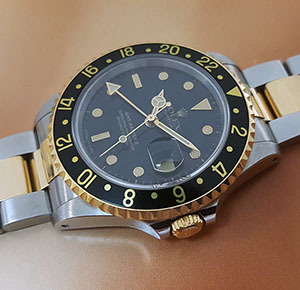 Yellow gold fluted bezel. Brown leather strap. Plexi glass. Superlative chronometer officially certified. Automatic calibre 1570 movement. Serial Number: 4330W039. 31mm case size. Everose pink floral dial. Everose gold and stainless steel case and bracelet. Fixed bezel. Date function. Sapphire crystal glass. Screw-down crown. Automatic movement. Water resistant to 100m. 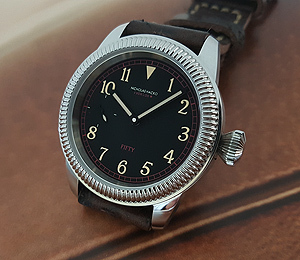 Original Tritium dial and hands in fantastic condition. A truly beautiful example. New Rolex bezel (installed by Rolex service centre Sydney). Serial Number: 1793547. Original dial and hands. Tritium dial meters first. In exceptional condition. Rolex movement calibre 1520. 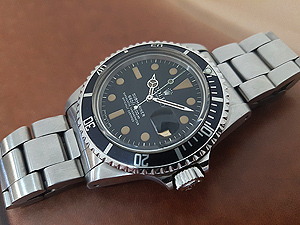 Fitted with 93150 bracelet with 580 end link. Comes from NH Private Collection. It was acquired in 2007 and is now being offered for sale for the first time since. 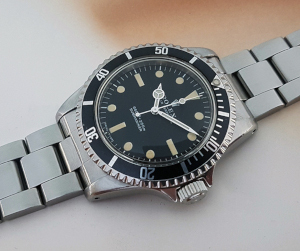 As from the photo, the original tritium dial is absolutely spotless. 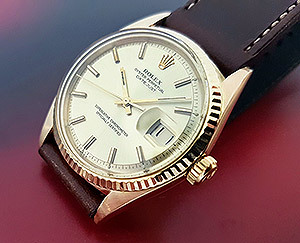 The watch comes with a rare Rolex box reference 68.00.3 whch itself is in pristine condition. Serial Number: 5686771. 40mm case size. Sporadic use only. Tritium maxi dial (feet first) has aged naturally featuring the most desirable "egg shell" colour. No dial discolouration and overall consistency of colour tone and warmth is stunning. Original brush finish and lug edges retain original gloss finish. Stunning mechanism finish. Watch mechanism looks like it has never been overhauled nor serviced with no screwdriver marks or signs internal screws have been removed. Moreover, the case back bears no repairer′s marks nor signature commonly found in serviced watches. Green Submariner hang tag. 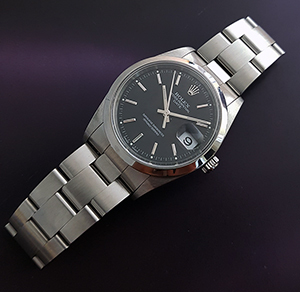 Original Rolex Oyster 93150 bracelet has not been polished, showing just usual scuff marks and no sign of any internal wear. 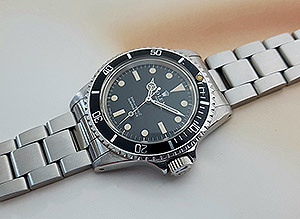 A vintage Rolex Submariner in this conditio and provenance does not appear often on the market. 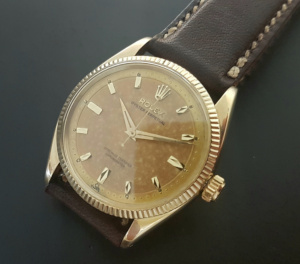 Watch comes with original Rolex box and guarantee papers. Serial Number: D533542. 40mm case size. Stainless steel case and bracelet. Black dial with luminescent hour markers. Sapphire crystal glass. Screw-down crown. Automatic 3135 movement. Water resistant to 1220m. Serial Number: 5697297. 40mm case size. Stainless steel case and bracelet. Black dial with luminous hands and markers. Rotating bezel. Plexi glass. Screw-down crown. Date function. Automatic movement. Freshly overhauled. Comes with original Rolex box. Serial Number: 794104. 18k gold. 34mm case size. Automatic officially certified chronometer. Completely original, 100% authentic, featuring the original radium "honeycomb" dial and hands with original "OYSTER" box and, amazingly, with the original Oyster spring-loaded bracelet. While after 60 years the bracelet naturally shows usual wear, the watch itself has been freshly overhauled and is in good working order. 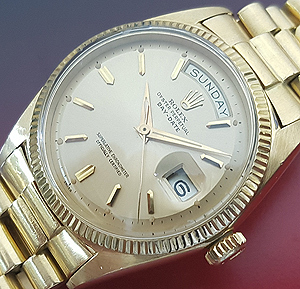 Rolex watches still featuring the original Super Oyster crowns are now quite rare. Watch comes with Oyster box. 36mm case size. 18K yellow gold case with fluted bezel. Champagne dial. 18K yellow gold Presidential bracelet. Automatic movement with day-date, acrylic crystal, screw-down crown. Watch comes with papers and service history. "Inverted 6". E serial number, worn a few times only. Bracelet in superb condition. Rare find. Serial Number: Z273281. 40mm case size. 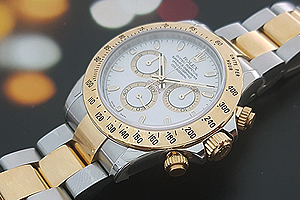 White dial with 18k gold bezel. 18k yellow gold with steel case and Oyster bracelet. Luminescent hands and markers. 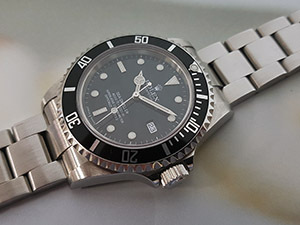 Screw-down crown and caseback. Chronograph function. Water resistant to 100m. Serial Number: D004883. 40mm case size. Black dial with fixed 18K white gold bezel. 18K white gold case and white gold Oyster bracelet. Sapphire crystal glass. Screw-down, Triplock winding crown. Date function. Self-winding, mechanical chronograph movement. 4130 calibre. Superlative Chronometer. Waterproof to 100m. 72 hour power reserve. 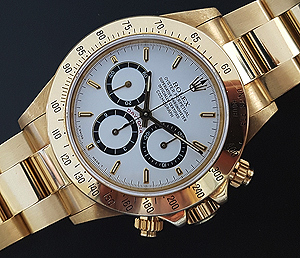 Retails New: $49,750 (not currently available from Rolex dealers). 45mm case size. 40 pieces. Limited to one a month release. 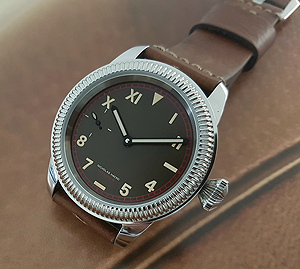 Chocolate brown California dial with smooth bezel. Titanium case. Red seconds hand. Transparent case back. Sapphire crystal glass. UNITAS 6498 movement. Manual wind. 36 hour power reserve. Guaranteed for 5 years. Initial deposit of $500 payable at the time of order with balance paid before delivery. In the day and age when goods are built to last for only a year or two - five if you are lucky - Josh and I are proud to be part of something much larger and much more lasting. Today, we would like to offer you a very special opportunity to: become an owner of a watch which will not only last for the next fifty years, but which will be GUARANTEED to be fully operational for the next 50 years. 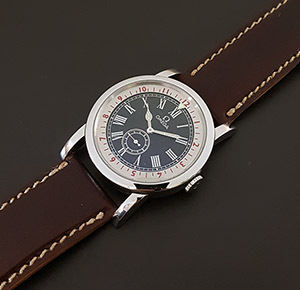 Our offer is simple: If you invest in a rebelde50, your watch will come with our written guarantee that for the next 50 years you will not have to spend a cent on servicing or spare parts replacement and this will include even a leather strap replacement! 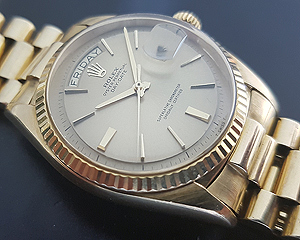 We will take full care of your watch and whenever it needs any repair, you will just bring it to Culwulla Chambers and we′ll repair it free of charge for the next 50 years! 44mm case size. 50 pieces. Black dial. 316L steel brush/high polished with ribbed bezel. Honey Gold plated UNITAS Swiss movement with rebelde laser-engraved bridge. Transparent case back. Sapphire crystal glass. Swan neck regulator. Gold balance wheel. Manual wind. Water resistant to 10 bar. Guaranteed for fifty years. 45mm case size. 50 pieces. Black California dial. Sub-seconds at 9 o′clock. Titanium case. Sapphire crystal glass. Exhibition case back. UNITAS 6497 movement. Manual wind. Water resistant to 10 bar. Guaranteed for five years. 44mm case size, 75 pieces. Black California dial. Stainless steel case with smooth bezel. Transparent case back. Sapphire crystal glass. UNITAS movement. Manual wind. Water resistant to 10 bar. Guarantee for five years. 44mm case size. 50 pieces. Brown California dial. Transparent case back. 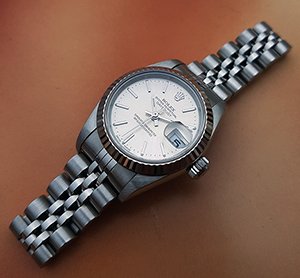 Stainless steel case with ribbed bezel. Sapphire crystal glass. UNITAS movement. Manual wind. Water resistant to 10 bar. Guarantee for five years. 44mm case size. 10 pieces only. 18 carat yellow gold case with ribbed bezel. Black California dial. Transparent case back. Sapphire crystal glass. UNITAS movement. Manual wind. Water resistant to 10 bar. Guaranteed for five years. 44mm case size. 10 pieces only. 18 carat rose gold case with ribbed bezel. Black California dial. Transparent case back. Sapphire crystal glass. UNITAS movement. Manual wind. Water resistant to 10 bar. Guaranteed for five years. HACKO WATCHMAKER is operated by Nicholas Hacko, a third generation, European trained, specialist in watch and clock repair, and restoration. 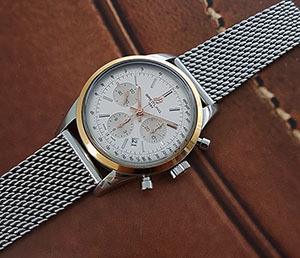 This proudly independent business is one of only a handful remaining in the Australian watch trade which is not in any way associated with Rolex, Cartier, IWC or any other watch manufacturer.